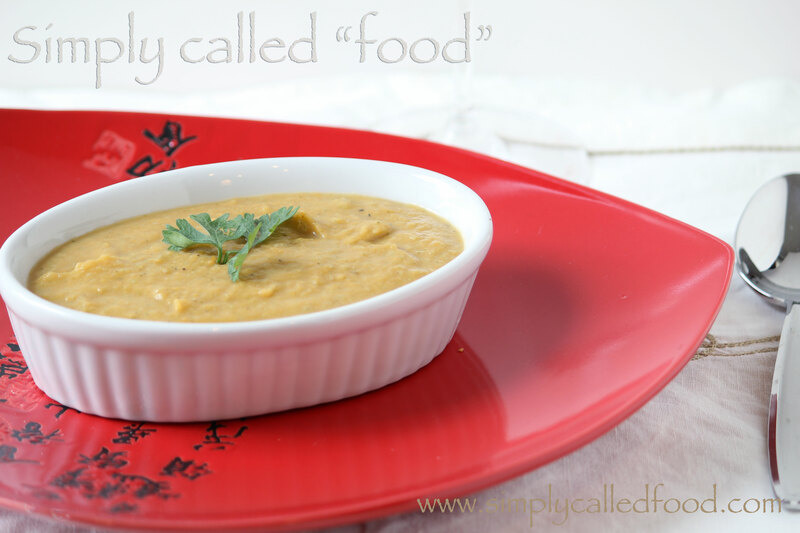 Soup of the week: Sweet potato soup | Simply called "Food"
My daughter wanted to make supper yesterday and she had no clue what to make since I was so overdue for grocery shopping. She is almost 12 yrs old but she knows she wants to be a cook. So she asks me to show her. But yesterday, fridge is empty, we had tofu and legumes this week, so what can we do? Onion! Sweet potatoes (a bit old but who will know 🙂 )! A piece of broccoli that was lost on a shelf! A can of coconut milk! And the key ingredient for a soup: “WATER” which most of us have and should be thankful for! So after gathering all the ingredients, she finally started to make it. It was really good. Since my kids tend to sort out the food in they’re bowl, most of the time, I blend everything, but it’s optional, if you want pieces of vegetable in broth, it is also very good! Coarsely chop all your vegetables in approximately the same size to get about the same cooking time. In a medium pot, heat the oil and stir in your vegetables. Add some salt and pepper. Let them cook for 2 minutes and add 1 cup of water. Bring it to boil and add another cup and so on until you put your 4 cups. Then add your coconut milk and let it cook until your vegetables are tender. Readjust the seasoning. Blend your soup with a hand blender until it there’s no more pieces. If you need to add more water because it is too thick, don’t hesitate, it all depends on the amount of vegetables you’ll put in it. Enjoy your supper made in less than 30 minutes and at really a low cost. It can also be a great idea if you’re having guests for Thanksgiving or the holidays! Tags: Broccoli, Coconut milk, Food, Fruit and Vegetable, Gluten free, Onion, Recipe, Soup, Sweet potato, Thanksgiving, Vegan, Vegetarian. Bookmark the permalink. This sounds so yummy! Thanks! 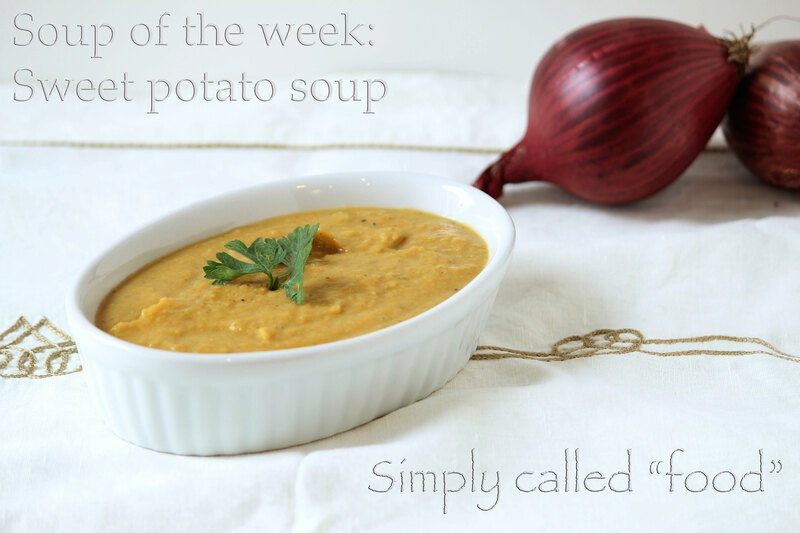 I love sweet potatoes and making a soup sounds GREAT! I also enjoy challenging myself by seeing what I can come up with for dinner using only things I already have on hand. It’s fun to raid the pantry and improvise. When it comes out tasting delicious, it’s so satisfying. Best of luck to your daughter with the cooking! It sounds like she’s already well on her way to being very good at it. I look forward to trying out your soup. Thanks for sharing! Thank you for your comment. It’s nice to know what others think. Sometimes I don’t have much of a choice to do with what we have and cook a tasty meal, and it’s true that it is satisfying! I will tell my daughter your wishes. Have a great week! Thanks a lot for linking my recipe! It is really nice and your recipe really look good too! Have a great week!